Not a member yet, but want to see what all the Polka Dot Powerhouse hype is about? 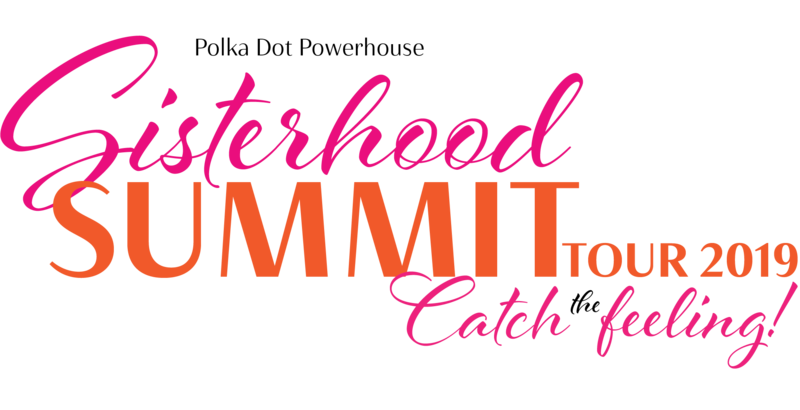 Register today to attend one of our Sisterhood Summit events! This one-day event is open to the public, and our 2019 city stops include Hartford, CT, Eau Claire, WI, and Reno, NV. Join us for connection with like-minded women and meet our founder, Shannon Crotty. This will be a full day to learn, grow, get inspired, and have some FUN! Lunch and special gift included! Pricing is per city, and includes lunch and a special gift. Want to attend more than one summit? You will need to register for each Summit City individually. Vendor Tables are available for you to showcase your business for the entire day. The vendor registration fee is $199 and will get you a table directly in the Summit Ballroom for your Dot Sisters to stop, shop and connect! Please note, the vendor table fee is separate from the registration fee. We are in the process of planning! You will be meeting your Summit speakers soon! Tickets are not refundable within 60 days prior to the event. Tickets are non-transferable.